DeVries Nature Conservancy is available to rent for both indoor and outdoor events. 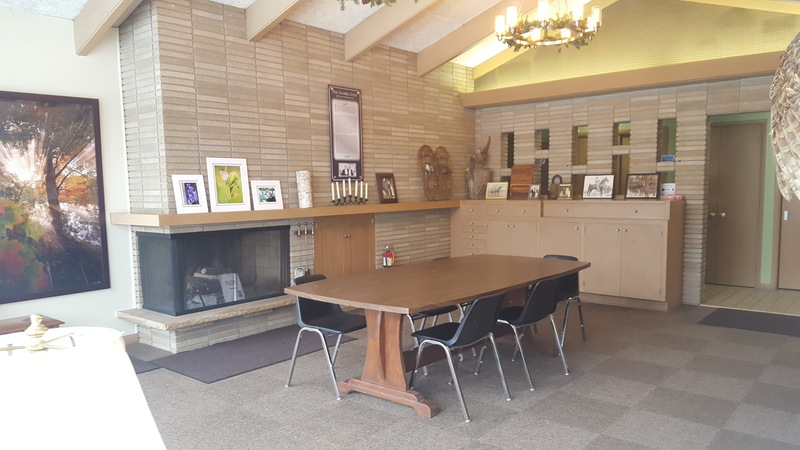 Our Nature Center is an ideal space to hold small events such as meetings, workshops, luncheons, birthday parties and family gatherings. 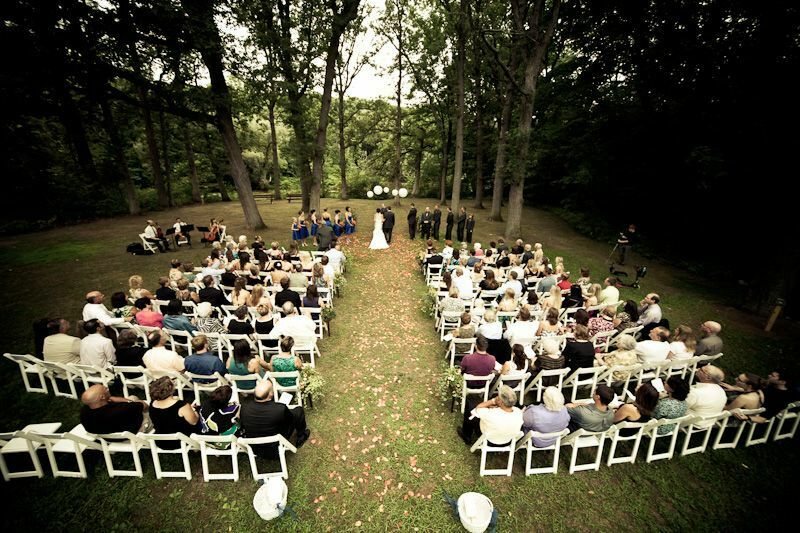 Our grounds are suitable for larger events such as wedding ceremonies and open houses. Full use of the Nature Center is provided for all rentals. 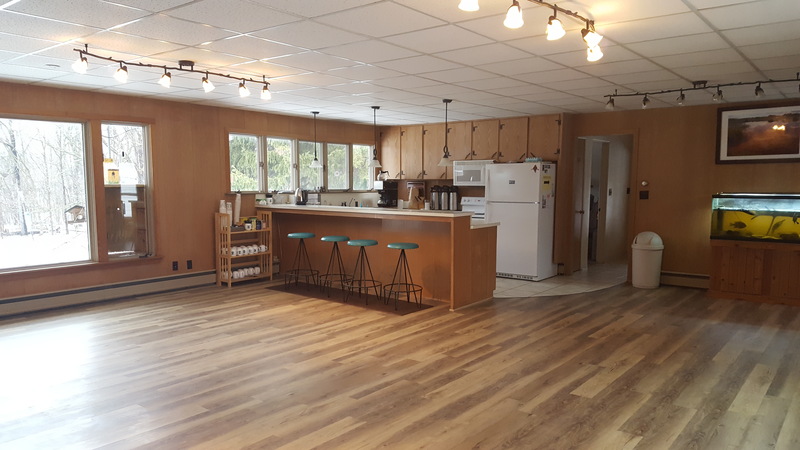 Basic amenities include a full kitchen, wireless internet, two bathrooms (not wheelchair accessible), 15 folding tables (10 6' tables and 5 square card tables) and 50 chairs, as well as 5 child-size tables and 18 child-size chairs. A propane grill, projector and screen are available by request and at no extra charge, as well as an electric golf cart help transport people with mobility issues. Use of the Nature Center's fireplaces and outdoor bonfire pit are available for an additional fee of $20 for the fireplaces and $30 for the bonfire pit. Staff supervision is required. Availability is subject to weather and available staff. Cost to rent is based on the type and length of event. See the Rental Rate Table for details. A damage deposit of $100 is required for all rentals. There is no charge for scheduled set-up or clean-up time, only the time span of the event. For an additional $75 fee we also offer different kinds of staff participation, such as a 1-hour education program for birthday parties. Call for more information on available options. Wedding ceremonies are considered full-day rentals. Couples have an option to schedule a set-up time and/or rehearsal the day before, and a clean-up the day after. The cost is $300 for up to 250 guests. Special permission must be granted by staff for ceremonies with more than 250 guests. We do not allow receptions. Book your reception at D'Mar Banquet & Conference Center and your ceremony at DeVries and for a 10% discount on both! For more information on the Partnership Discount offered by participating Owosso vendors, check out this flyer.